I am delighted that you decided to stop in and check out my blog. My name is Deborah Blatchley and everyone calls me Debbie. The name Deborah means honey bee and I hear the whispers of God. I love honey bees, they are such hard diligent workers and produce magnificent sweet honey. Not to mention I think they are super cute. I am very obedient to the things that God asks me to do and say. I love to share the heart of God with others. I would like to tell you a little bit about myself. I think of myself as a cheerful smiley person who loves to laugh. Laughter is my secret to get through difficult days and seasons. At times I feel like laughing is easier to swallow than tears. I am happily married to my husband/best friend Nick. We have been together since 1997 and got married in 2004. Nick and I have twin boys Luke and Cole who were born in 2006 and we have a daughter Daniella who was born in 2009. We also had two babies that went home to heaven to be with Jesus. I never like to leave them out because that is like forgetting that God ever created them. I have comfort knowing that they are in heaven. There is nobody better that can take care of my babies than Jesus. My life gets pretty crazy at times, but I wouldn’t change anything. I am so thankful and grateful for the chance to live it. In fact many times it is a messy battle, but God is always with me and never leaves my side. I home school my children and I work part time as a dental hygienist. I love flowers, rainbows, fuzzy bees, cooking, singing in the shower, and working in my vegetable garden. Most of all I love sharing God’s messages to people. I get so excited when God uses me to help others. If you ever feel at times you struggle and you get depressed feeling very tired and alone, or sometimes you have trials and battles that are so hard you want to pull your hair out. Well please don’t pull your hair out I totally get it and I understand. Leave it behind you and move forward in faith. I am here with a big heart to encourage you and comfort you. I am passionate about helping God’s children arise and also help awaken the hearts of the lost by releasing regular prophetic words. I will share with you the whisper of God and I pray that his whisper’s will bless you. Hey Honey Bee it’s your mom, The Rose of Sharon, just wanted to say Kudos to you for being obedient to the plan God has for your life. I’m blessed to be your mother & so proud of you, my daughter & gift from God. I know the many obstacles you overcame to reach this point. Staying focused on Jesus & believing God’s promises definitely kept you on the path to victory, so congratulations. In your obedience, you stepped up to the plate & hit a home run. 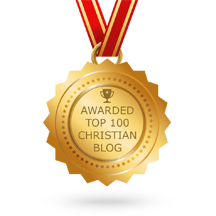 I’m cheering like a fan in a ball park & can’t wait to read more of God’s encouraging words on your blog. Thank you Debbie for receiving God’s gifts& using them to build His Kingdom. You have a very encouraging story. It is so nice to be connected to God in such a way. I believe that God is trying to get the attention of many. I pray that He will use you in many beautiful ways to help others. When we know God we have so much hope. It doesn’t mean we will not experience bad times, but we know who to turn too. May Gd bless you abundantly as you go forward with your blog!! Thank you Debbie, I do believe that Jesus is soon to return to this earth and He has work for you to do. May He use you to be a mighty witness.